Below you can view all the homes for sale in the Riverbrooke subdivision located in Duluth Georgia. Listings in Riverbrooke are updated daily from data we receive from the Atlanta multiple listing service. To learn more about any of these homes or to receive custom notifications when a new property is listed for sale in Riverbrooke, give us a call at 404-998-4113. 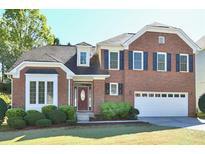 Swim/Tennis Community With Clubhouse And Award Winning Gwinnett County Schools. MLS#6534649. Keller Williams Rlty, First Atlanta. This Home Is Truly Move In Ready! MLS#6534539. Palmerhouse Properties. Pictures Speak For Themselves! Schedule A Showing Today! MLS#6532850. Virtual Properties Realty. Biz. Great Schools, Area Parks And Shopping. MLS#6519785. Palmerhouse Properties. All Less Than Nine Months Old. MLS#6517013. 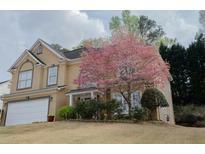 Atlanta Home Estate Realty, Inc.. Separate Dining Room And Living Room, Good Sized Bedrooms. MLS#6128034. Georgia Premier Realty Team Inc..